Tim Davis is Vice Chair of the Business Department and a member of the firm's Executive Committee. He is a Partner in the Real Estate and Finance practice groups. Tim has over 25 years of experience representing insurance companies, banks and investment funds. Tim represents clients in a wide variety of real estate finance transactions, including first mortgage loans, participations, mezzanine loans, "B" notes and preferred equity investments. He has extensive experience in the areas of intercreditor, co-lender and participation agreements. He also regularly represents institutional clients in the acquisition and disposition of commercial properties. In 2017, Tim was elected by his peers as a Fellow in the American College of Mortgage Attorneys, a national invitation-only organization formed to establish an integrated group of lawyers in each state who are highly skilled in real estate lending and related practices. Tim is AV® Preeminent rated by the Martindale-Hubbell peer review rating system. 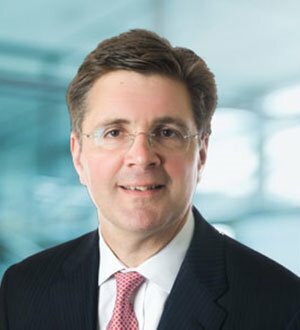 Tim was recognized by "Best Lawyers in America" in 2016 and 2017.